White brined cheeses, popular throughout the eastern Mediterranean, Balkans and into the Middle East, are characterised by being ripened under brine. Thus, this family have the highest NaCl levels of all cheeses. Often originally made from sheep’s or goats’ milk, white brined cheeses have a soft crumbly texture and a sharp and salty flavour. The best known variety in this family is Greek Feta but similar cheeses are made throughout this region. The milk for white brined cheeses is acidified quickly and the curds are not cooked extensively leading to high moisture. Syneresis in the moulds is thus driven by pH and the fresh cheese is placed into a container with brine (~14% NaCl) before ripening. Cheesemaking always involves removal of moisture from milk. Nearly always, this is achieved by syneresis of rennet- or acid-induced gels. However, the membrane separation technique ultrafiltration (UF) can be used also. Despite much research, concentration of cheesemilk by UF has found relatively little application in industry, with the exception of the manufacture of some types of white brined cheeses. The milk for such “cast” cheeses is concentrated by UF before renneting. Since little or no whey is lost after renneting and because whey proteins are retained by UF membranes, the cheeses contain whey proteins (thus increasing yield) and much higher levels of residual rennet. However, they tend to ripen more slowly than traditionally made cheeses. White brined cheeses were put into my mind this week during a very enjoyable visit to Turkey and courses in Hacettepe University, Ankara and Abant Izzet Baysal University, Bolu. 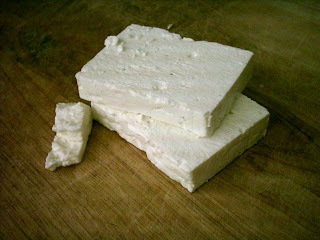 In many countries, Feta-type cheeses are used exclusively in salads but they form a more important part of Turkish and neighbouring countries’ cuisine. My thanks must go to Dr Ali Topçu and his colleagues in Ankara for their wonderful hospitality and to the Scientific and Technnological Rsearch Council of Turkey (TUBITAK) for giving me the opportunity to visit Turkey. 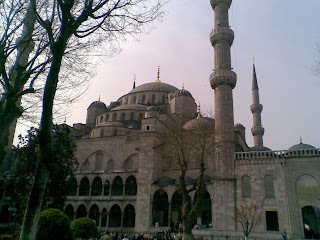 My trip ended with a short visit to the wonderful, bustling and endlessly fascinating city of Istanbul, which was looking its finest with the sun shining and tulips in bloom.